Overhead storage delivered in a "simple to install" package. 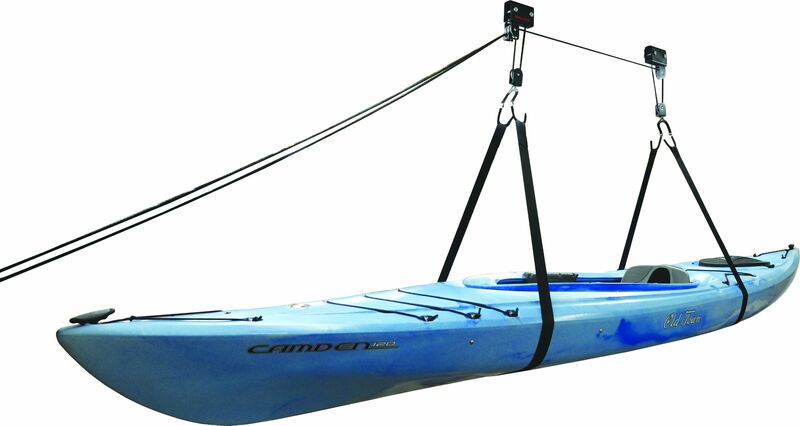 The MPG346 Kayak Hammock features independent pulley control, self locking brake and steel construction that creates a dependable two point garage hoist system. The 120 lb load rating and oversized load straps easily store a cargo box, canoe, kayak or bicycle. Comes with a Lifetime Limited Warranty.